Drug manufacturers should educate providers on proper use of pain relievers. Prescription drug abuse is the nation’s fastest-growing drug problem, according to the Office of National Drug Control Policy (ONDCP). There are many explanations, but most noticeably is the problem of overprescribing by physicians. The ONDCP has established a prescription drug abuse prevention plan that includes stopping ‘pill mills’ and taking action against physicians who over-prescribe. The problem is not always neglectful physicians, but rather, uninformed ones. According to the ONDCP’s strategic plan to reduce abuse, most physicians receive little training on proper prescribing methods and recognizing substance abuse in their patients. A survey in 2000 found that only 56 percent of national medical residency programs required between 3-12 hours of substance use disorder training. A study done in 2008 showed improvement nationally but the efforts were not applied equally across the board. Require authorized prescribers requesting DEA registration to have training on responsible prescribing practices and abuse/dependence recognition prior to registration. Require drug manufacturers to create educational material to train providers on proper use of pain relievers. Encourage medical and healthcare boards to require education on proper prescription practices in medical, nursing, pharmacy and dental programs. They also want to outreach to student groups to distribute educational materials. Unfortunately, there are those practitioners who abuse their power and prescribe opioids for non-medical purposes. Because these physicians, who are illegitimately prescribing, are functioning under a medical umbrella, they rarely get caught. 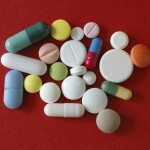 The proliferation of over-prescribing has also led to illegal pill mills. These are doctors, clinics and/or pharmacies that are prescribing powerful prescription drugs for non-medical purposes. The ONDCP will try to eliminate these pill mills in hopes that prescription drug abuse will decrease. Retired from the field of medical research, Joe Baxter is now a freelance writer specializing in medical journals. Apart from writing, he spends the rest of his free time traveling abroad and working in his wood shop. This entry was posted on Wednesday, April 17th, 2013 at 11:16 am	and is filed under Behavioral Health, Guest Posts, Medication Management, Prescription Drugs. You can follow any responses to this entry through the RSS 2.0 feed. Both comments and pings are currently closed.